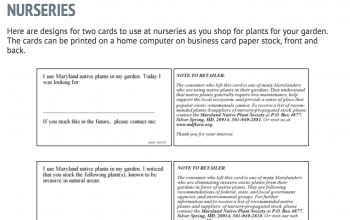 Confused about the terminology associated with native gardening? If you are, it’s not surprising, since there are numerous definitions just for the simple word “native.” Native, non-native, exotic, alien, naturalized – these terms, and others, are often misused. Hopefully the following explanations will clear up some confusion! While different sources vary on the definition of “native species,” Federal Executive Order 11987 (May 1977) defines native species as “all species of plants and animals naturally occurring, either presently or historically, in any ecosystem of the United States.” The statute of a given state may offer an even more narrow definition for plants within that state. A reasonable definition of “native plant” is a plant that has developed over hundreds or thousands of years in a particular region or ecosystem. The word “native” is best used with a geographic qualifier (examples: native to the Northeast, native to New York, native to Westchester County, etc.). Those plants found in the U.S. before European settlement are typically considered to be native. While a plant may be native to some state in the U.S., it may well not be suitable for planting in more distant states where it has not evolved. A plant that is not native to the continent on which it is now found. Plants from Europe are exotic in North America; plants from North America are exotic in Japan. A plant introduced with human help (intentionally or accidentally) to a new place or new type of habitat where it was not previously found. Not all non-native plants are invasive. A non-native plant that does not need human help to reproduce and maintain itself over time in an area where it is not native. 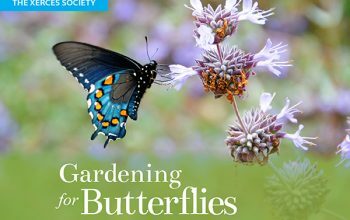 Naturalized plants do not, over time, become native members of the local plant community. Invasive plants are a sub-category of naturalized plants. There are some plants that are native in one region of the U.S. where they have evolved, but are considered to be invasive in other parts of the U.S where they have been introduced. An example is Silphium perfoliatum (Cup Plant) that is welcome as a native plant in Missouri, but considered to be an invasive plant in Connecticut. An aggressive growth habitat does not necessarily mean that a plant is “invasive.” While Monarda didyma (Bee Balm) has an aggressive growing habit (it’s a runner, not a clumper), Bee Balm is a native plant, not an invasive plant, in numerous states. A scientifically-designated group of related organisms, in this case, plants. A plant genus is the first, capitalized word in a scientific name. Example: Asclepias (Milkweed). The second, uncapitalized word in the scientific name that follows the genus. Example: incarnata. Designated by the combination of the genus and the specific epithet. Example: Asclepias incarnata. Both words are italicized. A plant that occurs naturally without cultivation or hybridization. Example: Echinacea purpurea (Purple Coneflower). A cultivated variety of plant, often bred for a desired trait, such as pest or disease resistance, flower color, fruit color, foliage color, habit, size, etc. Depending on the species, a cultivar may be propagated by seed, resulting in some genetic variation, but less genetic variation than straight species plants; or by vegetative cutting, resulting in a genetic clone. Cultivars are designated by single quotes, ex: Echinacea purpurea ‘Magnus’. The cultivar name is not italicized. A native cultivar. Unfortunately, often the only type of “native” plant available at nurseries. Nativars are somewhat controversial since they have less genetic diversity, and potentially some loss of ecological function in comparison to straight species plants. Some nativars are clones, propagated from cuttings, while some nativars are open-pollinated, and grown from seed. Typically refers to the intentional breeding of two different plant species to create a new plant. Hybrids are designated by the absence of a specific epithet (see above) or the presence of an “x” symbol. Example: Baptisia ‘Purple Smoke’ – a hybrid of Baptisa alba (White Wild Indigo) and Baptisia australis (Blue False Indigo). Hybrids are also controversial in the world of native gardening due to the loss of genetic diversity. Some hybrids, but not all, are sterile. 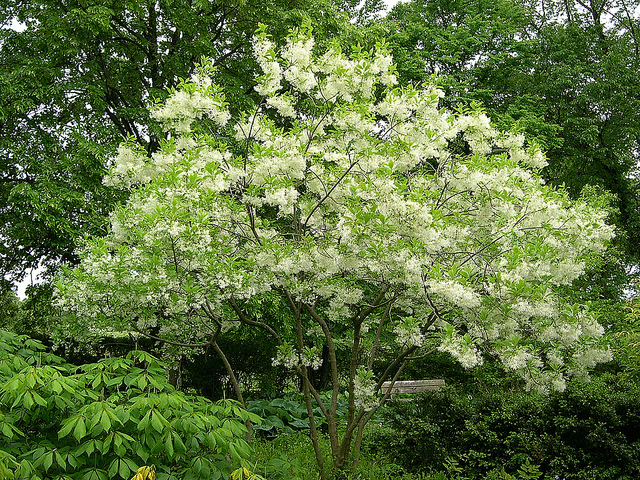 There are also natural hybrids that occur without human intervention such as Amelanchier x grandiflora (Apple Serviceberry), a naturally occurring hybrid of Amelanchier laevis (Allegheny Serviceberry) and Amelanchier arborea (Downy Serviceberry). The transfer of pollen from the stamen (male part of the flower) to the pistil (female part of the flower), which results in the formation of a seed. Pollen transfer may occur on flowers of the same plant, or flowers of a different plant, depending on the plant species. 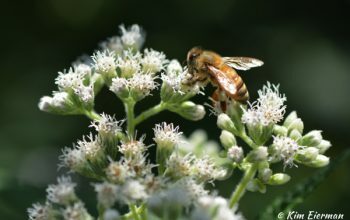 Some plants are wind-pollinated, while others require, or benefit from, the assistance of an animal pollinator. The transfer of pollen from one plant to another. Depending on the plant species, a plant may be wind-pollinated or animal-pollinated (including, but not limited to, pollination by insects). A landscape full of wind-pollinated plants results in what is known as a “pollinator desert” bereft of forage plants. Plants that do not require pollen from another plant to produce fruit. A flower that has both male and female reproductive structures (vs. an imperfect flower). The majority of flowering plants have perfect flowers. Plant species that have male plants and female plants. The male plants have only male flowers and the female plants have only female flowers. Refers to plants that persist for many growing seasons. Technically “perennial” includes woody plants (trees, shrubs and vines), but the word “perennial” is typically used to refer to herbaceous (non-woody) plants that die back in the dormant season. Plants that bloom, produce seed, and die in a single growing season. The seed that annual plants produce may result in the formation of new plants in the next growing season, depending on the species. Native examples include: Impatiens capensis (Jewelweed), and Chamaecrista fasciculata (Partridge Pea). Plants that complete their life cycle over two growing seasons. In the first season they grow foliage, typically a small rosette of leaves near the soil surface. During the second season’s growth, stem elongation, flowering and seed formation occur followed by the death of the “mother plant.” Native examples include Rudbeckia hirta (Black-eyed Susan) and Verbena hastata (Blue Vervain). A plant that is a tree, a shrub or a vine. A non-woody plant such as a flowering perennial (forb) or a grass (graminoid). An herbaceous flowering plant that is not a graminoid (grasses, sedges and rushes). A plant that is a grass, sedge or rush. Are there any gardening terms that give you a headache? Please share! 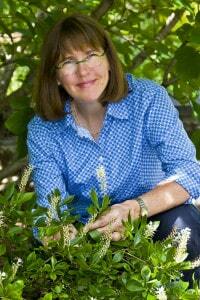 Happy Native Gardening from Kim Eierman at EcoBeneficial! Photo: Chionanthus virginicus (Fringetree) Often a dioecious tree.